painting Description As the summer vacation is set to start now, guardians would worry for their kids regarding to utilize their wards' vacation time in some extra curricular activities like making caricature, Making puppets, Improving hand writing, making crafts from waste etc. 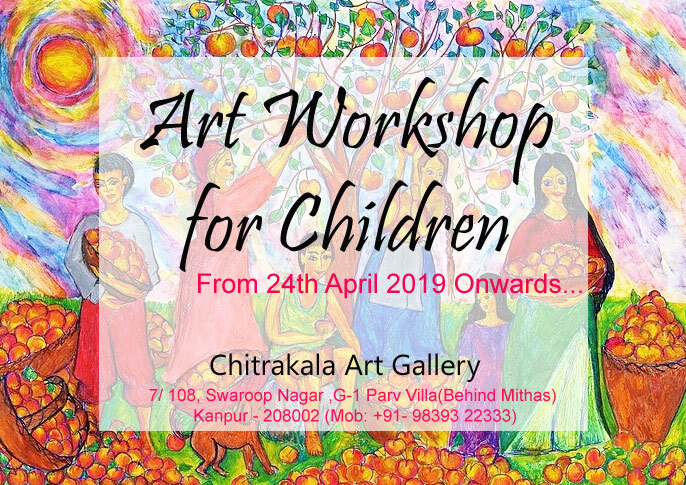 Viewing to all these, Chitrakala Art Gallery, a renowned name in Kanpur for its prestigious image in the field of arts, Drawing and Painting is scheduling the continuous workshops for kids from Age group of 3 Years and above. Every Guardians who want to polish up the skills of their kids can seek admission in our institute. Admission will be given at first come first serve basis. Customizable? , Please call us to confirm.